Lots of big name industrial players are launching IoT platforms and are hopeful that their big data analytics, open APIs, and other features will catapult them to be the leader of industry 4.0. If you don’t have an OT background, you aren’t relevant. I tend to disagree. We don’t need yet another CloudFoundry, Hadoop, Time Series solution with an API to make Industry 4.0 real. What we need is to focus on what are the real problems customers have and use ground breaking technologies to solve those in completely new ways. To get to those real problems and groundbreaking technology solutions, the industrial space needs to copy dotcom thinking. Why not crowdsource real problems? Do competitions for startups to come and show their groundbreaking solutions. Launch app stores on industrial equipment to allow each customer to completely customise their industrial equipment. What is the biggest problem for large industrial building machinery? Most of the industrial building machinery is expensive for what it does! A crane can lift heavy objects, a digger can dig a hole, both need a person the whole day to sit on it. Even if you only need to dig holes for 3 hours. Why hasn’t the industry looked at the latest robot arms for inspiration? Inexpensive robot arms like the Dobot or the Franka can be easily remotely taught what to do and via interchangeable extensions can be used for a lot of different use cases. Why not make an industrial autonomous or remotely controlled machine with interchangeable tools? You have an arm to lift. Another arm to dig. Another arm to 3D print concrete walls. An open platform for third-parties to design other interchangeable tools. A person could work remotely and control one or ideally multiple types of machinery. Just like a drone pilot. The machinery would learn new things and over time be more autonomous or even completely autonomous. Initially, you would enhance the human. You could even have an “Uber for Remote Machinery Pilots” in which you hire by the minute or per job a remote expert. An app store to allow all types of new use cases to be sold, years after you got the machine. A market for extensions like cameras, lasers and more to allow new use cases. An industrial building machine should be a platform, not a single purpose device. Additionally, it should be offered as a service, not as a purchase. You pay by the minute, just like in the cloud. If you use an extension from a third-party they get paid by the minute as well. 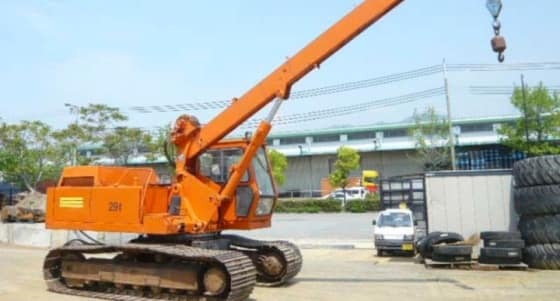 Since this industrial building machine also has a software defined radio, an app can convert the crane into a mobile base station hence all workers get good mobile coverage. Another app can setup a low powered WAN or WiFi hub and allow all the smaller tools that are being used to communicate with the machine. The industrial building machine can be like a local mini cloud that does not only process data of what it is working on but also from all the smaller tools that are being used. Augmented reality connected worker helmets can connect to the machine and jointly make man and machine more effective and efficient. An IoT edge platform can run on the machine and communicate with the global IoT cloud to get updated work orders. So yes we will need a global industrial IoT cloud but it is like building the roof and trying to fit the foundations and walls underneath. Companies buy and use machines because they need to get work done faster. Focus on making them smart first. The global IoT cloud is not that useful unless you can connect it to the smartest industrial machinery in the world.